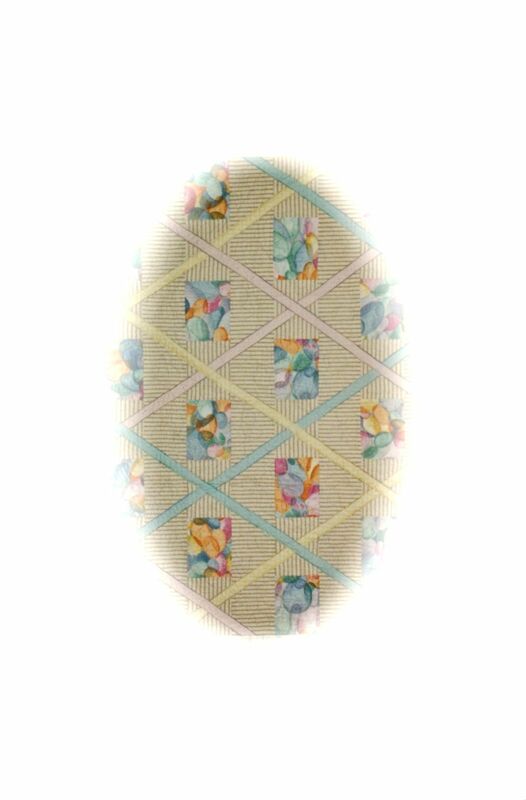 The pretty pattern on the egg is the design I had made on this donation quilt a number of years ago. All the fabrics are cotton plisse, except for the diagonal sashings. They were remnants leftover from garment making. 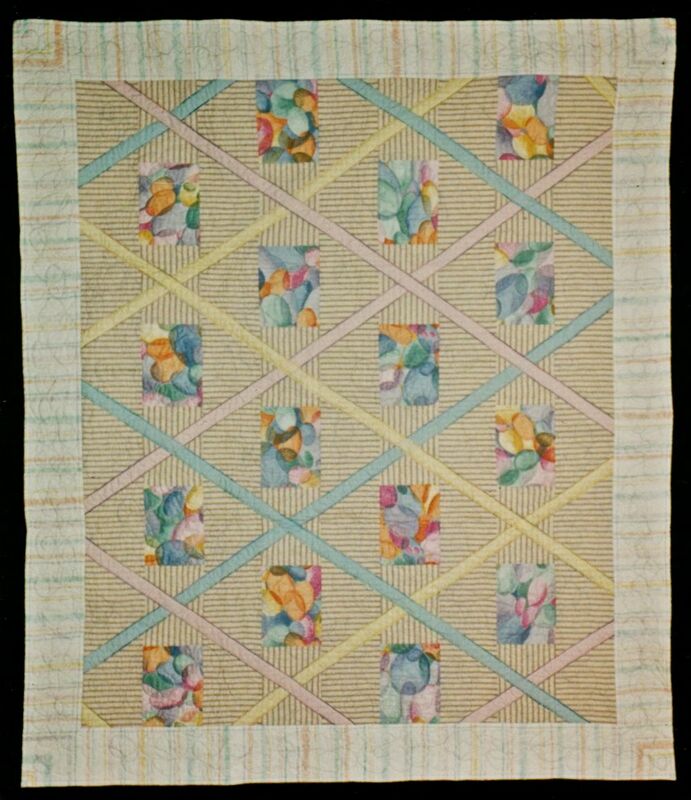 That is such a pretty quilt and makes the perfect decoration for an Easter egg. Happy Easter to you and yours Nellie. I love what you did with your fabric to turn it into an image of the egg.